When Jasper has cozied up for a nap, he doesn’t let anything get in his way. Not even socks. 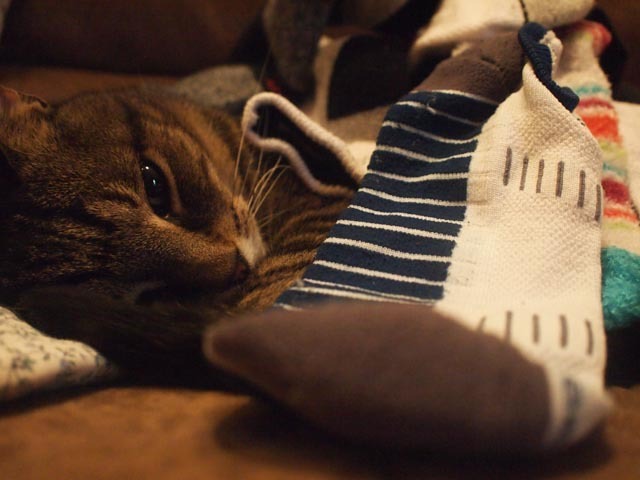 Not even when those socks are one by one placed on him. He never even lifted his head! He did, however, look a little grumpy when I took the socks away. I think he enjoyed the sock blanket.